Konfio is an online lending platform that uses innovative credit algorithms and alternative data analysis to help micro, small, and medium-sized enterprises (MSMEs) in Mexico obtain affordable working capital loans. Konfio was founded in 2013 by Mexican entrepreneur and MIT graduate David Arana. Before founding Konfio, Arana worked at Deutsche Bank in New York, where he realized the real impact he could have by providing financing to far smaller companies. There are over 5 million MSMEs in Mexico, most of which are not served by commercial banks because they are small, informal, or not seen as profitable. Many firms and entrepreneurs lack credit history, making it difficult for banks to lend to them. Informal lenders exist, but often charge punishing interest rates of 100% or more. Konfio provides business loans of up to 150,000 pesos (~US $8,000). The company’s entirely digital platform allows for low-cost customer acquisition and rapid credit assessment, which means the company can offer lower rates than traditional lenders. The Accion Venture Lab team first met with Arana and his team in the summer of 2014. At that point, Konfio had only made a few hundred loans but was growing quickly each month. In October of 2014, Venture Lab decided to invest in Konfio’s seed funding round. Konfio faced several challenges, including proving its underwriting model, accessing debt to finance the loan book, and competing against banks, microfinance institutions, and other alternative lenders. A team from Venture Lab traveled to Mexico City to meet with the startup’s small staff. They took a close look at customer data to understand the characteristics and channels affecting ease and cost of acquisition. Together, they defined priority geographic areas and customer segments, and the best channels for engaging them. Through that work, Konfio was able to identify where to focus its marketing efforts. It also gained insight into the different sizes and lengths that loans should be, resulting in an expanded product offering. And lastly, realizing the positive affects that repeat customers have on underwriting and acquisition costs, Konfio developed incentives for repeat borrowers, such as referral programs and improved loan terms. Alma Delía Centeno Romualdo, a Konfio client, runs her internet cafe in Mexico City. By 2016, Konfio had received over 200,000 loan applications and was serving thousands of borrowers. In May 2016, the company successfully raised $8 million in Series A funding from established fintech investors QED Investors and Kaszek Ventures. This was also the first time that the Accion Frontier Inclusion Fund, managed by Quona Capital, invested in a Venture Lab portfolio company. Konfio used that capital to grow and scale. It developed systems that process thousands of data points from a business applicant, using an algorithm to make real-time loan decisions, versus the two-month process for a traditional bank loan. This tech-driven and streamlined process allowed Konfio to offer more affordable pricing than any of its competitors. A little more than a year later, Konfio raised a $10 million Series B funding round, led by the International Finance Corporation (IFC). Excited by the company’s continued progress, existing investors, including Venture Lab, also participated in the round. By the summer of 2018, Konfio had a multi-million dollar loan portfolio, issuing hundreds of loans a month. It successfully raised a Series C financing round in June 2018. The $25 million round was led by Vostok Emerging Finance, and existing investors again participated. In addition to the equity raised, Konfio secured $60 million in debt to finance the loan portfolio with commitments from the IFC and US-based investor Victory Park. Konfio is now one of the best-funded and highest-valued tech startups in all of Mexico, poised to lead the fintech sector. 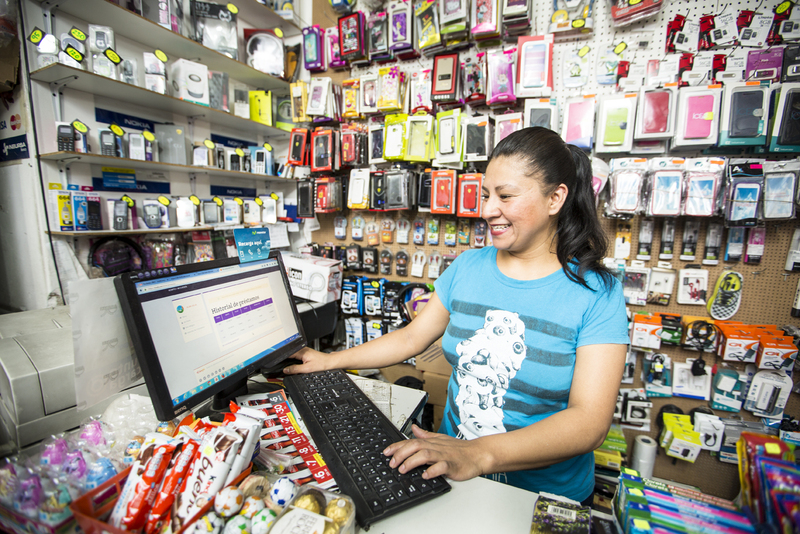 Venture Lab is excited to have the opportunity to support and learn from Konfio as it closes the credit gap for Latin American MSMEs by providing the flexible, affordable working capital businesses need to thrive.